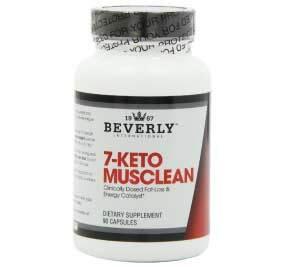 Beverly International 7-Keto Musclean makes finding an effective fat burner fast and easy, and its offered at a nice affordable price that will appeal to all athletes. An all natural formula that will totally change your physique in less than 30 days. Over the next 30 days, the combination of 7-keto, green tea extract, grapefruit extract, hoodia, and guarana extract will help you burn fat, increase your metabolism, lose weight and most importantly – keep it off. 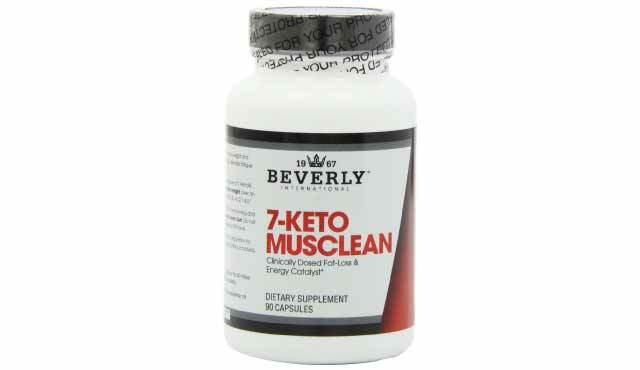 Beverly International 7-Keto Musclean was formulated with you in mind. Athletes who are looking for an all natural way to help their body get rid of those last few pounds of fat will have a very positive experience with this product. The ingredients in this product will help your body target those stubborn areas – like lower ab fat. Green tea extract will give you more energy and improve your bodies ability to burn fat faster. Grapefruit, hoodia, and guarana will help increase the absorption rate and effectiveness of the other ingredients. An all in one fat burner, that should wield results in less than 20 days of continual supplementation.